Researchers also assessed whether FDA reviewers were using consistent criteria to evaluate applications. On this, however, reviewers' performance left a bit to be desired. From October to December 2017, after the implementation of the modernization plan, the agency analyzed 148 review templates. According to the GAO report, "of the five review template sections where reviewers are required to record information, we found that OOPD [i.e., the Office of Orphan Products Development] does not ensure that all required information is consistently recorded in the background information section and evaluated when making designation decisions." 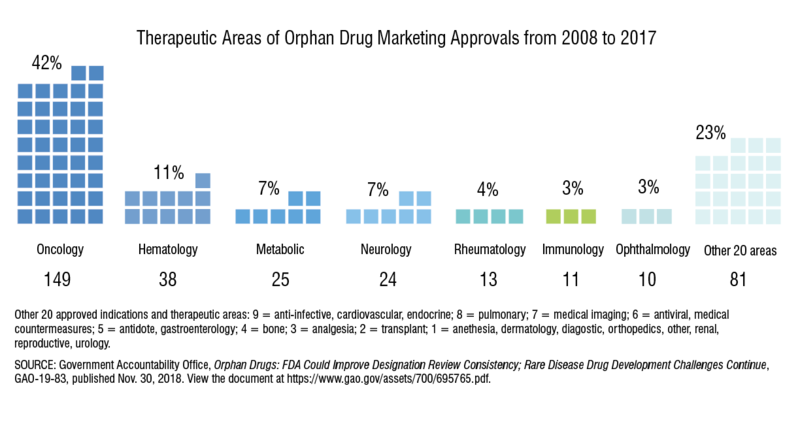 Of the 148 templates, the FDA granted orphan designation to 26 applications that were missing required information. GAO recommends that the "FDA should ensure that all required information for reviews of orphan designation applications is consistently recorded and evaluated. The agency concurred with our recommendation."